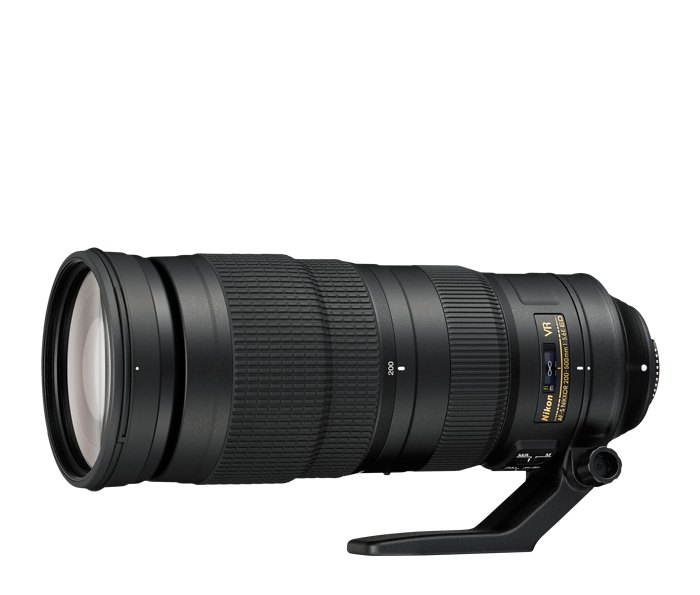 Capture thrilling close-ups of birds, wildlife, motorsports, athletes, performers, landmarks and other faraway subjects with this compact super telephoto zoom lens. Its fast f/5.6 constant aperture gives photos and HD videos beautiful out-of-focus backgrounds and lets you continue shooting while the light is fading. Vibration Reduction image stabilization keeps your shots sharp and steady and enhances low-light performance. Add an optional TC-14E series teleconverter and increase its zoom power 1.4x to a whopping 700mm on FX-format DSLRs, 1050mm equivalent on DX-format DSLRs (AF possible with teleconverters on DSLRs that offer f/8 support).